WASHINGTON (Sputnik) - A US judge, who was once criticized for his Mexican heritage by President Donald Trump, has ruled that the Trump administration has the authority to waive environmental restrictions to build a wall on the US-Mexican border, according to a court document. "[There are no] serious constitutional doubts regarding the law" that allows the Department of Homeland Security (DHS) to disregard environmental laws in order to improve border security infrastructure, a document explaining the ruling by Judge Gonzalo Curiel said on Tuesday. Congress passed a series of laws in late 1990s and early 2000s to expedite the construction of security infrastructure along the US-Mexican border. 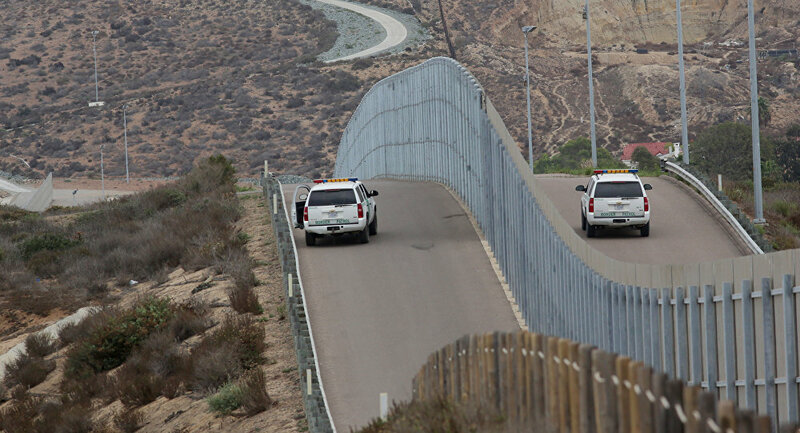 In January, DHS announced it had waived environmental, natural resource and land management laws to speed up the construction of a border barrier in the US state of New Mexico. DHS plans to replace an old barrier along a 20-mile segment of the border with a see-through wall. As a presidential candidate, Trump drew fierce criticism in June 2016 when he said that Curiel, who was born in the US state of Indiana to parents who emigrated from Mexico, was biased against him due to his Mexican heritage. Curiel’s border wall ruling on Tuesday focused on "whether the Congress has the power under the US Constitution to enact the challenged law and whether the Secretary of Department of Homeland Security properly exercised the powers delegated by Congress," the document said. The court decision did not consider whether constructing a wall was politically wise or prudent, the document noted.